This page you'll find some Keneksi Schematic Manuals PDF. 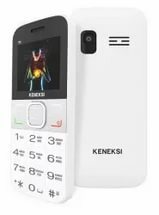 Under KENEKSI brand entered the market the Chinese company Shenzhen Cheng Run Communications Device, which is part of the corporation SHENZHEN SSUN INDUSTRY CO.LTD. It produces accessories for smartphones and tablet computers Apple, Samsung, Huawei (Manuals PDF pages), as some firms known across the globe. Shenzhen Cheng Run Communications Device Co., Ltd established in 1997. The company has its own specialization. It produces and sends to export high-tech products. This implies that the company must keep developing new products based on modern technology, as well as a broad implementation of these products. She seriously employment and training of personnel. And the training is to improve the process and production automation. The main objective of the company is to create an international brand of mobile phones, which will have optimal price and quality. The main factor that ensures the success of the company is the high level of scientific and technical base. The company considers it necessary to involve prominent professionals and employees in this area. And it pays off handsomely. After all, it seriously affects the results, not only in technology but also in design. Total company 150 engineers. Every tenth of them has the highest category. They both work in the research laboratories of other countries. As for the enterprises, it is equipped with the latest technology. Under his assigned area of 10 thousand square meters. The plant capacity is 1.5 million handsets a month and 20 million housings that are manufactured for Samsung, Apple, Huawei and other companies. When companies were established and effectively operating financial accounting, administrative and management departments as well as departments of innovation, marketing, supply, for service after the sale of products, scientific and technological research and development, logistics, design and user interface. All employees of the company every year visit international exhibitions and conferences. Company chases potential business partners. Look for opportunities to increase the percentage of products on the market. At present, products are sold to South America and Central Asia. 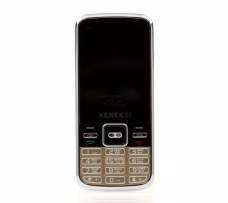 Read - KARBONN Mobile Phone Manuals PDF & History.